Feeling Frosty Collection by Aimee Harrison is PU/S2H/S4O friendly. Easily create artsy and beautiful faded edges for your background papers and layouts. These digital scrapbooking templates are a great addition to your arsenal - layer them or use with other papers and templates. 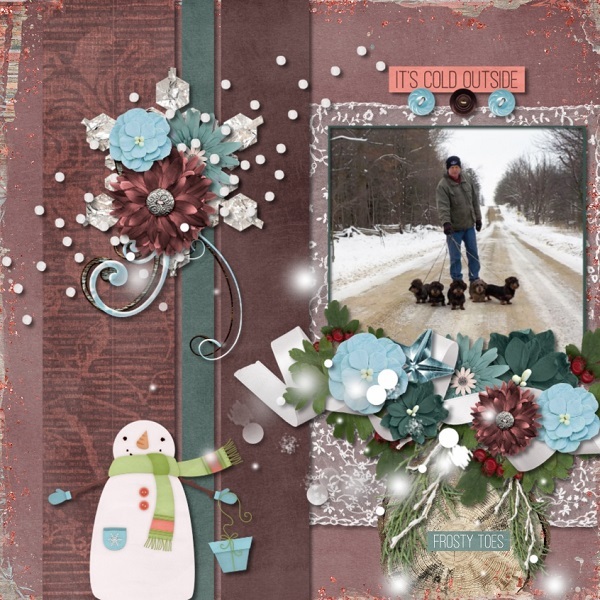 Warm digital scrapbooking kit to decorate your end of summer and going into fall memories. Opulent patterns, blushed pinks and purples, with hints of navy and muted greens. Beautiful leaf painted accents and more. A great elegant twist on fall in this digital scrapbooking kit.